Join Monika Pate to explore how to paint realistic flowers in watercolor using the layering technique. The instructor will explain how to approach the variety of shapes, colors and textures of the subject. 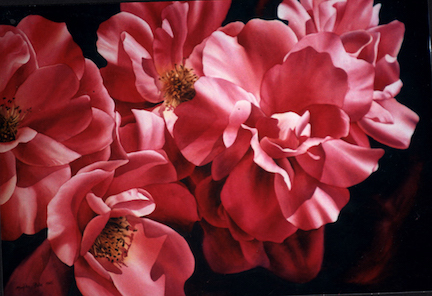 She will also provide step-by-step demonstrations and present variety of techniques to create realistic floral paintings. Students will also receive individual attention. Reference materials will be provided, however the students are also welcome to work form their own materials if they prefer. All levels. Please email Monika at map352@gmail.com for the supply list or with any questions.